There is no sadder sight than an empty Christmas stocking. 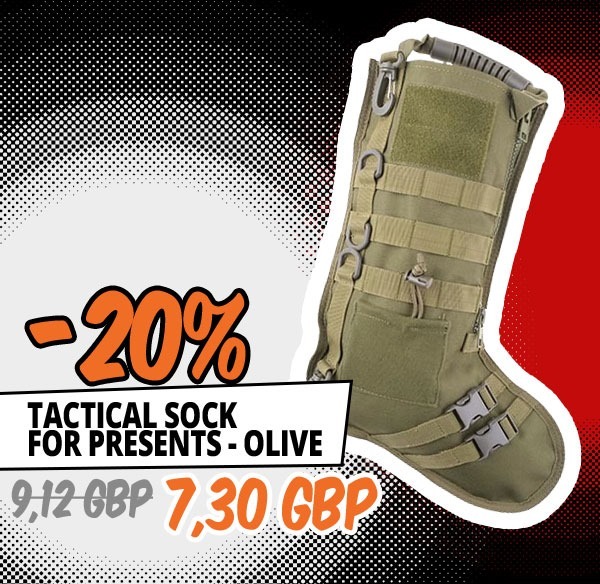 To prevent this, we have prepared a special Tactical Sock for you, which will be perfect as a stocking for gifts. 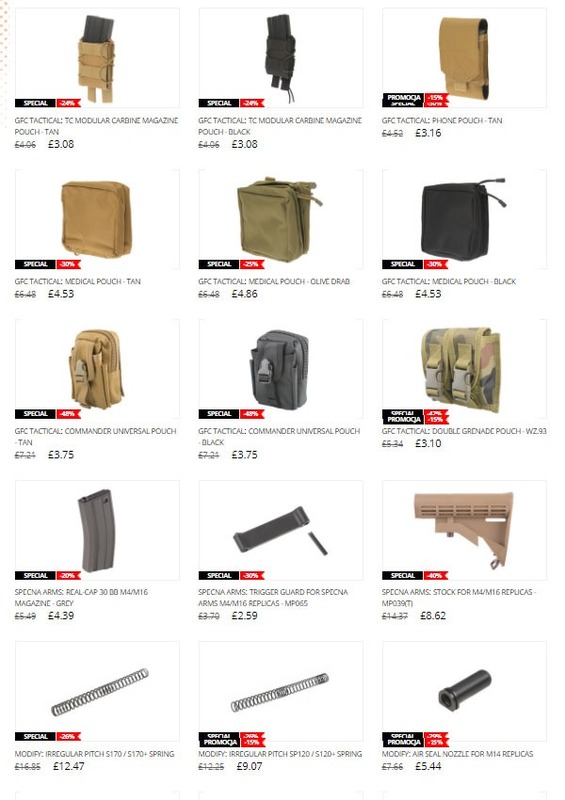 We have made it 20% OFF and we would like to show you a few great stuffers. Because we believe that even small gifts can bring a lot of joy, we offer you interesting products up to 20 GBP. 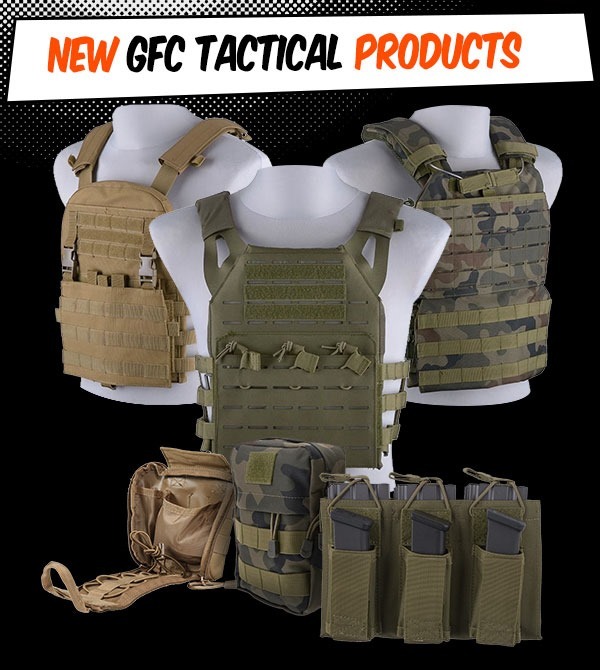 Among them you can find new equipment from GFC Tactical like pouches or backpacks. 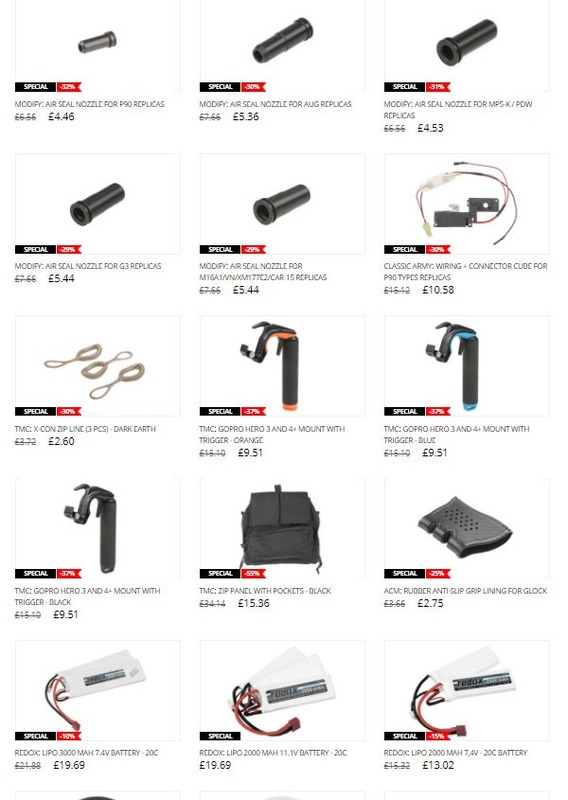 We can also offer you very useful Element parts, Theta Optics mounts or Rockets BBs. 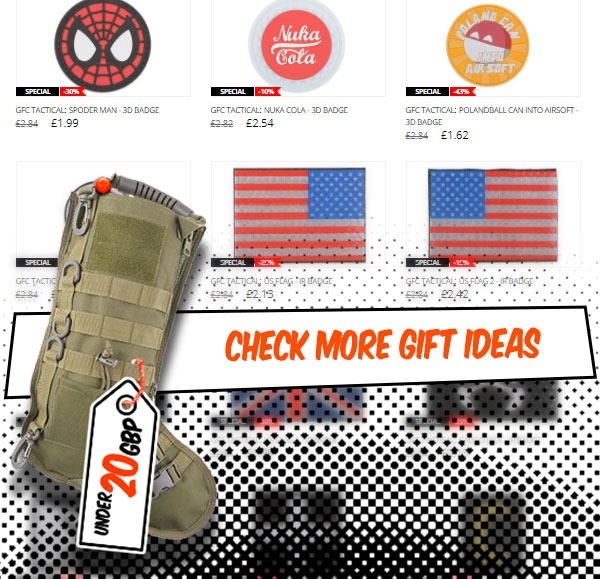 However, if you are looking for ideas for much larger gifts then you can still check other categories of our discounted products such as products under 60, 120 or over 120 GBP. They include some nice replicas, high-quality spare parts or interesting accessories. 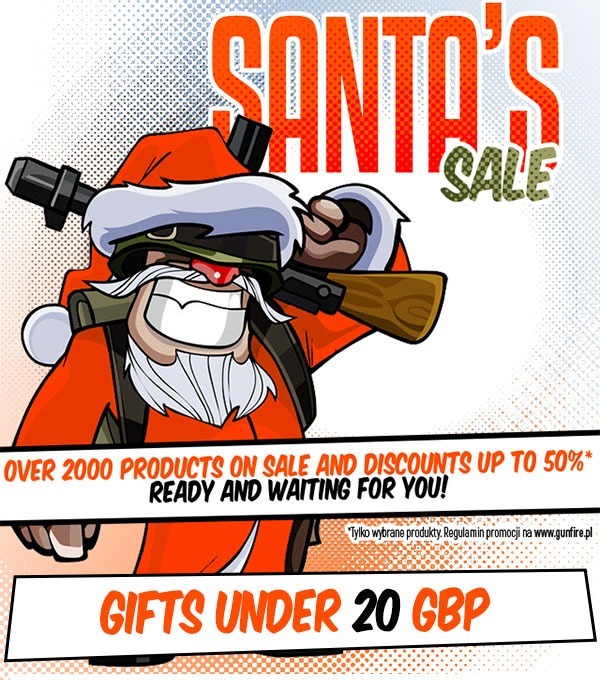 Check out some great gift ideas available on Santa’s Sale!